Bruno Clair is one of the young and talented winemakers in Bourgogne. He is the grandson of the last owner of the famous Clair-Dau domaine, though thru the weird inheritance laws of France, it was his aunt and not his father, who inherited most of the Domaine. The Domaine Clair-Dau fell into shambles at her hands and eventually was sold to Louis Jadot. 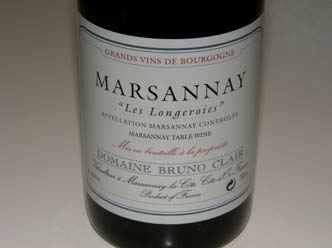 Bruno Clair, a tall and friendly guy (who speaks only French) has his home and cellar in the town of Marsannay, on the northern tip of the Cote d'Or. He inherited whatever his father left him. His domaine include some choice parts in Chambertin Clos de Beze and in other super 1er Crus in Gevrey and Savigny. Bruno has large holdings (6 ha.) 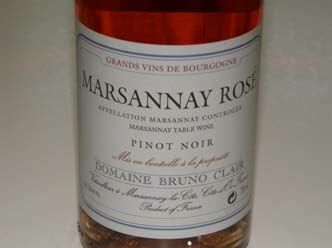 in Marsannay itself, where he makes red, white and rose Village wine. The white Marsannay is made from equal parts of Chardonnay and Pinot Blanc. Another interesting wine (and better than the Marsannay) is his white Morey-St. Denis made purely from Chardonnay. Bruno Clair's 1er and Grand Cru holdings amount to about 12.5 acres. .